8+ Cryptocurrency & Bitcoin Exchange Data - Cryptolinks - The World's Best Cryptocurrency Sites List! Every Cryptocurrency trader need data and reports in order to carry out his work, a Crypto trader who doesn't have data that he is monitoring might not be a Cryptocurrency trader. Tracking and checking of data such market prices, street prices, charts showing profitability and non profitability, top gains losses and so on. It paramount for a trader or investor in digital currencies to check for updated information on market data lots other type of charts. However, there places where we find fake data on market which means getting wrong info on the market data and that might be catastrophic and may have great implications on your trade. Some sites just cook up and place wrong information/data just to create traffic for themselves. 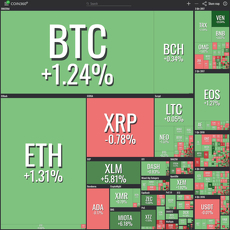 If you're a Cryptocurrency trader and investors and you are looking for where to track your trades, study charts and market price values, then your search is over as there is a platform that has made everything available at your reach. 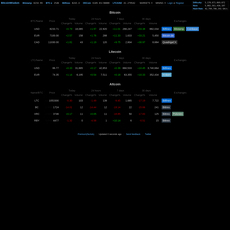 Conveniently you can track your trade and get access to updated data in form of charts and comparison. On these platforms below you can get access to maximum information on market data and price values that can help in your trades and investments. One of the ways to keep a cryptocurrency trader is provision of access to updated data. Some of these sites make it there area of focus as they know how highly important it is in the field of Cryptocurrency trading, investing as well as mining. 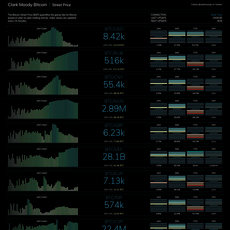 Some of these sites provide access to updated data on market data and there changes in form of different charts. Some showing the comparison of Cryptocurrency profitability with another Cryptocurrency in the aspect of mining. For example comparing the mining profitability of your bitcoin to Monero or Lite coin, which enables you to know how profitable a digital currency would when mined. On these sites they have made available features, which can help calculate these profitability all at your reach and convenience. Some of these sites such as Clark Moody update their data every 15 minutes just for you to have access to fresh data every time, some also provide up to date data/information on a daily basis. 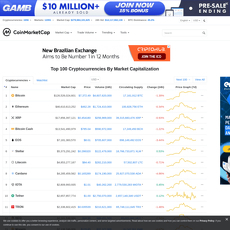 Some of these sites also provide links to the price tickers, which provides a chart which shows the various cryptocurrency market especially Bitcoin markets but stated in USD. 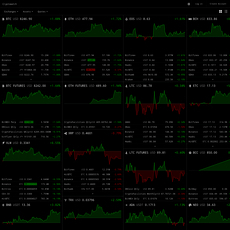 All of the markets are placed side by side on one another. Some sites also provide data on normal currency and their prices in digital currency. On some sites one can get access to street prices and values. As Cryptocurrency trader trade and invest learning should also be considered because there are always new ideas and fresh ways to trade but you might never know if you don't read about it. Some of these sites help provide quick and easy access to articles related to your area of specialization either Bitcoin, Lite coin, bitcoin cash and so on. These articles are placed there in order to enlighten Cryptocurrency trades and keep them updated on their knowledge. They also provide updates on news related to digital currencies that are updated on a daily basis and I can assure you there is always something to read about which might be educative and informative and might help you in a long run. There is nothing more important than keeping yourself updated on the latest thing going on in the Crypto world. Some of these sites help make these possible. These sites have provide an easy and cheap means in which you can make contact with them in peradventure you are battling with a problem or you want to file a complaint, suggest an idea or even want to sponsor. One of the things they never do is leave you unattended to, without providing answers to all your questions and helping out in solving your problems quickly. In case you are a philanthropic person and you are willing to help and care for others in need. 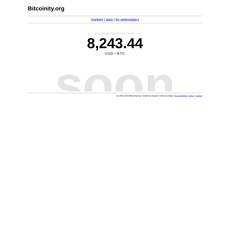 Some of these sites provide means to donate your digital currencies such as bitcoin, which can be used for that purpose. They team up with Cryptocurrency charity sites and organization in order to make sure your donations get to the right quarters. In conclusion, with all these few characteristics one can say with no doubt whatsoever that they have a lot to offer you. A trial would convince you better.